During the end of January and the start of February, the family and I took two weeks out of our summer and partook of a cruise around the eastern parts of South America. There were many highlights to this getaway vacation, but this was the biggest takeaway for me. The New Open World Corporation (NOWC) has a campaign called New7Wonders. One of the first results of this campaign was to name – via open voting over the Internet – the New 7 Wonders of the World. This designation was in homage to the 7 Ancient Wonders of the World, six of which have been lost to the ages. Only the Pyramids of Giza still exists, which is also the oldest of the Ancient Seven. In addition, NOWC also launched a campaign to list the New 7 Wonders of Nature. This most recent trip allowed us to visit sites on both the New Wonders list and the Wonders of Nature list. Starting with Rio de Janeiro, we visited the statue of Christ the Redeemer, which is considered to be the largest Art Deco statue on the globe. I wonder the second-largest Art Deco statue is? In December of 2011, we visited Machu Picchu, which was the first of the New 7 Wonders. 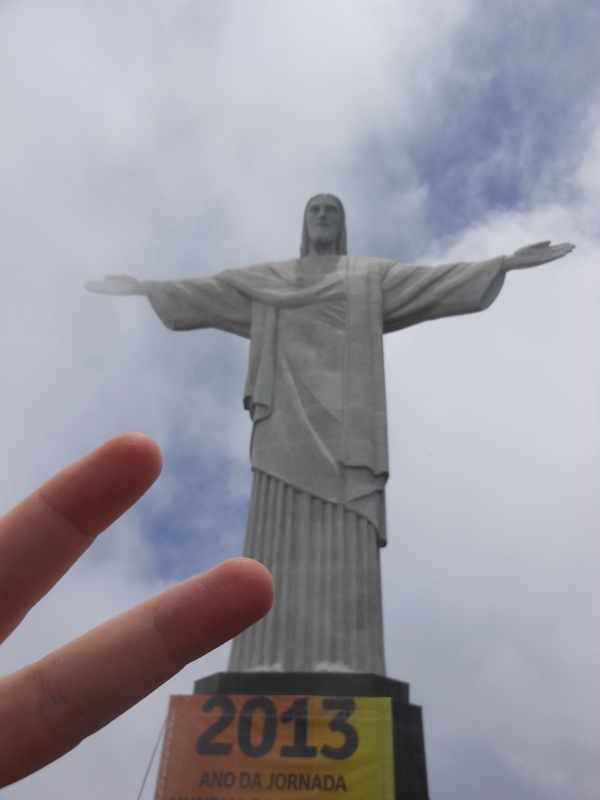 With our stop in Rio, the second of the seven new man-made wonders can be crossed off our list. I vote for this place to be the third to be checked off. 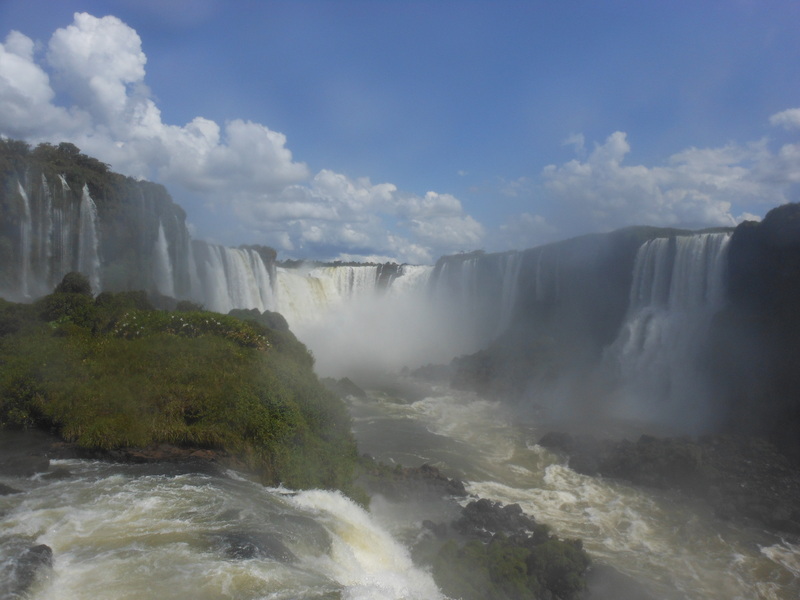 On the Nature-made side of the Wonder category, our trip ended with a visit to Iguazu Falls – a stunning set of waterfalls that straddle the border between Brazil and Argentina. These falls were the second Wonders of Nature location we had visited as the first was the Amazon, which we travelled to last year around this time. There is no one picture that could capture the entire majesty of the falls, so this lone picture will have to suffice to give you a glimpse of its aquatic glory. Perhaps the Puerto Princesa Underground River will be the third natural wonder we will see. Posted on February 19, 2013, in Photography and tagged 7wonders, Argentina, Brazi, Christ the Redeemer, Iguazu Falls, Rio de Janerio. Bookmark the permalink. 5 Comments.